We are offering a wide range of Flake Graphite. It can be used as high-quality refractory material or coatings in metallurgical industry. These are expandable graphite flakes available at a most economical price. These products possess properties of both metals and non-metals. We are one of the noted exporters, importers and traders of a wide array of Natural Crystalline Flake Graphite. These products possess properties of both metals and non-metals. These are considered ideal for many industrial purposes. Kanodia Minerals & Chemical Co.
Graphite (/ ræfa t/), archaically referred to as plumbago, is a crystalline allotrope of carbon, a semimetal, a native element mineral, and a form of coal. Graphite is the most stable form of carbon under standard conditions. Therefore, it is used in thermochemistry as the standard state for defining the heat of formation of carbon compounds. Flake Graphite is one of the most famous forms of Natural Graphite. It is used in many industries, especially Refractory Industries, Chemical and Fertilizer Industries. In Refractories, they are used in manufacturing of Alumina-Graphite shapes, carbon-magnesite bricks, monolithics and crucibles. We are engaged in offering quality graphite that is a greyish black shiny mineral and is available in two types namely, Natural and Synthetic. 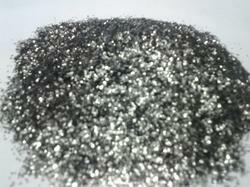 We are regarded amongst the prominent Natural Graphite Flakes processors and exporters in India. Our Natural Graphite Flakes are available in different grades and carbon content levels. 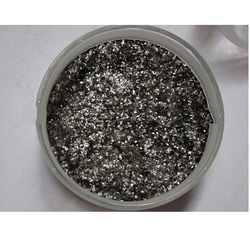 Natural flake graphite is used in drilling fluids to provide lubrication. It is also used as a loss-circulation prevention material. We produce high grade crystalline flake graphite with fixed carbon ranging from 90% to 97%. These products are offered in different particle size.